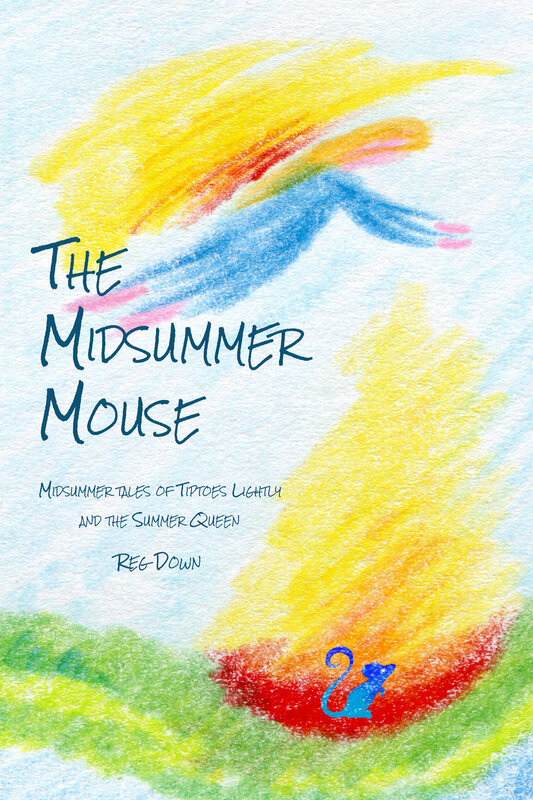 A synopsis of The Midsummer Mouse: midsummer tales of Tiptoes Lightly and the Summer Queen by Reg Down. Includes age suitability, reviews, cover design and a link to sample chapters and stories. The sun is rising higher into the sky every day. Summer has come and Farmer John builds a great pile of wood for the Midsummer's Eve festival taking place on his land. June Berry forgets a basket with a cookie inside by the oak tree when she and her brother, Tom Nutcracker are helping their dad build the wood pile. This leads Jeremy Mouse on a merry dance as Jemima Mouse tries to preserve the cookie for the festival. Meanwhile, Pine Cone and Pepper Pot are not opening their door to anyone other than Tiptoes (and even then only reluctantly). Their beards, it seems, are entangled. Hopelessly entangled. Then the Summer Queen begins to appear in the forest and spreading her magic. She joins the festival and tells The Tale of Turana before mysteriously vanishing before the crowd.